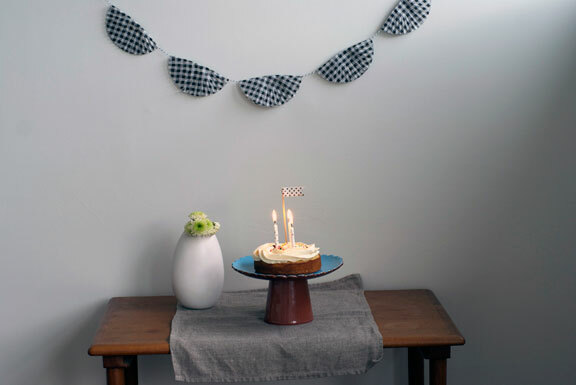 The easiest mini party in the world. I baked a single layer cake in a round pan and frosted it using the classic 1M tip. Just fit your piping bag with the tip, fill it with buttercream frosting of your choice then swirl away on the top of your cake! 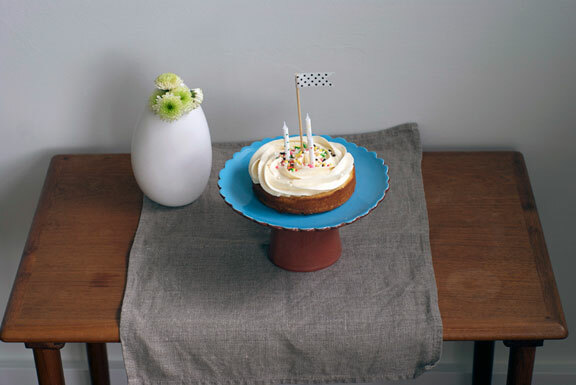 A dash of colorful sprinkles and a cute little party flag and you are all set! 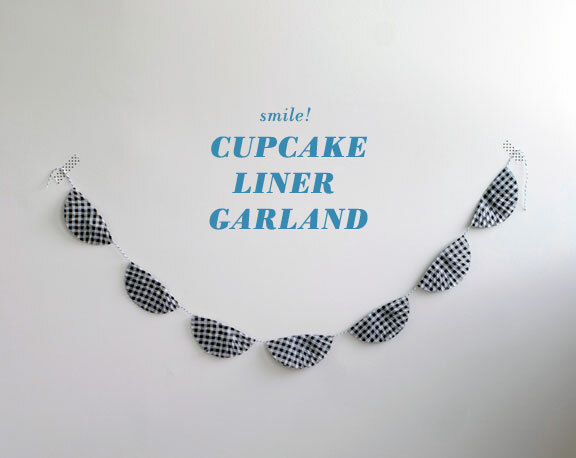 The garland was made using some super cute black and white gingham cupcake liners – but you could use any color or style your please. There are so many great ones out there! I just folded them in half and used double sided tape to adhere them together, strung along a simple string. I stuck it to the wall using some adorable Japanese washi tape (it’s masking tape so it doesn’t peel your wall paint away!) and it adds another simple cute element! Done like dinner. A mini cake dinner. now how am I just now finding your blog! Sooo cute! 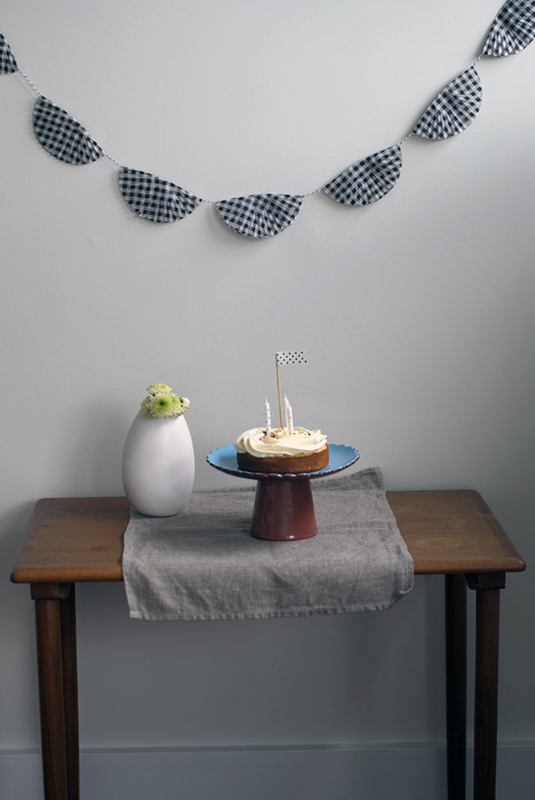 Love the cake and went over to Poppytalk-yet another cute blog!- for the tutorial! Looking forward to following you for more great ideas! hi molly! thank you so much!